In a galaxy not so far away, the actors from Star Wars appear all together for a group shot. 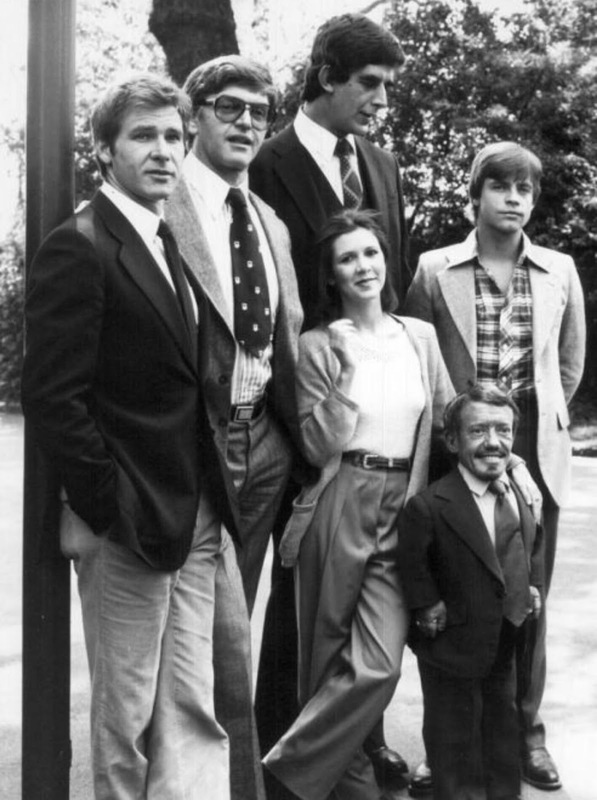 No blasters or stormtroopers, this is the famous cast of Star Wars in street clothes. The faces of Harrison Ford, Mark Hamill, and Carrie Fisher are well recognized and impossible to mistake as the cast of the original Star Wars, but fewer would recognize actors like Peter Mayhew, the extraordinarily tall man who (as you might have guessed) played Chewbacca. The Star Wars saga that so heavily relied on these talented actors is still reason for them to get together today as entertainment circles are abuzz with anticipation of the newest movie.